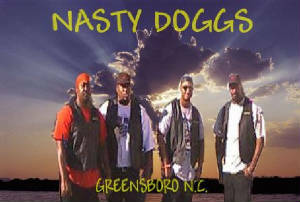 The NASTY DOGGS will be a motorcycle club formed for those who live to ride. We as a club will respect all other clubs and fellow motorcyclist. We as members will always respect our fellow members, support our club, and hold a family regime. This club will be for those who have a nasty attitude. A nasty attitude is an attitude that believes that nasty is what you want it to be. This club is formed to be a club with little rules and a lot of emotion. We as riders of the NASTY DOGGS will be recognized as motorcycle club formed in Richmond, Virginia with chapters in North Carolina and Maryland . We will represent in our respective home towns and surrounding areas in any motorcycle event that we may attend. This club will not be bias to anyone, but will be set apart from those without a nasty attitude. 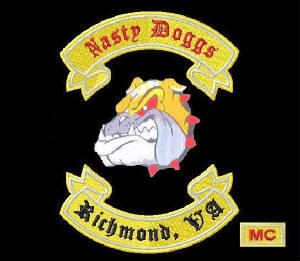 We as NASTY DOGGS hold our motorcycles as part of us and will not part from them as long as we are under the name of the NASTY DOGGS. 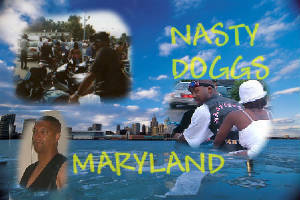 We as members of the NASTY DOGGS live by the rules of life, but when we are on our motorcycles we rule our life. We will contribute to our communities, motorcycle and public. We are a growing club and hope to spawn into a great club with the help of our fellow motorcycle families. 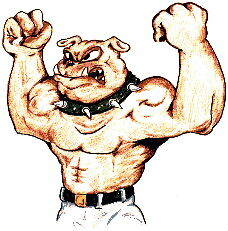 Click on the flexing dog to visit our MYSPACE page . NASTY IS WHAT YOU WANT IT TO BE.